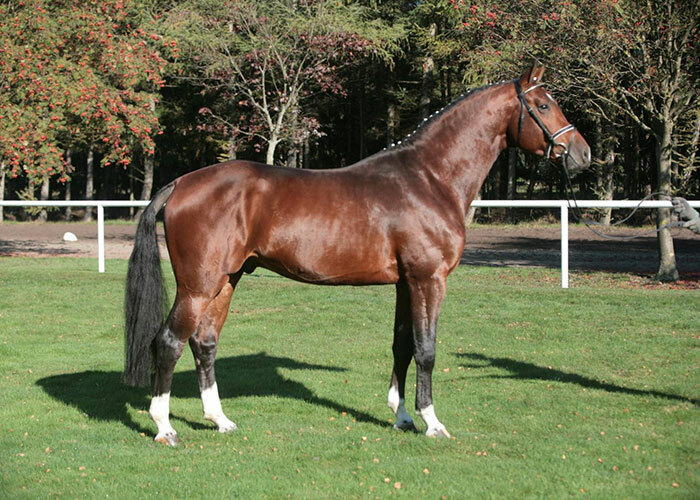 He was everybody’s darling at the Verden Stallion Market in 2010 and with Euro 300,000 the most expensive stallion. 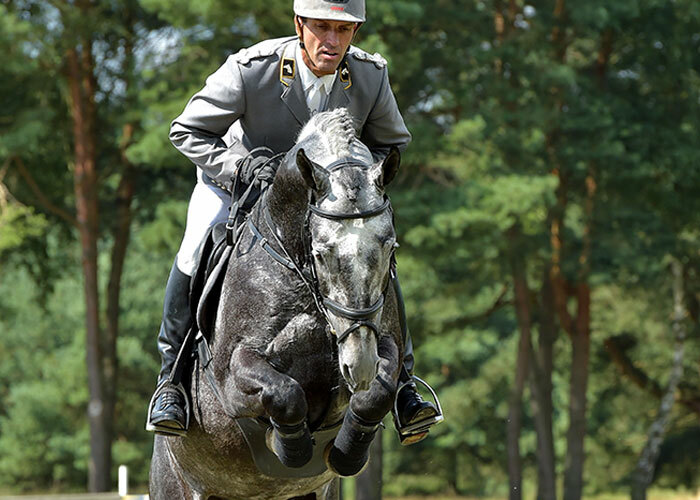 “An impressively moving youngster” – that’s how the Hannoveraner Verband described him, taking account of the fact that the long-legged, noble stallion presented equally excellent performances during all days of the event. 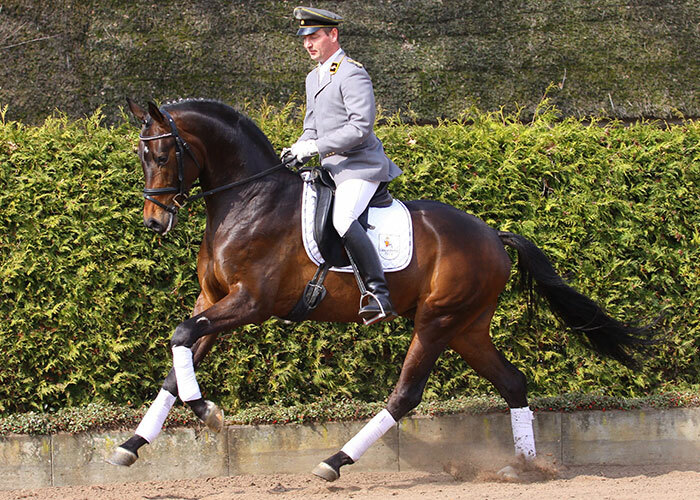 Impulsion that always safely developed into a forward movement through the body, combined with an excellent walk and a self-confident self-carriage – this is how Sporcken trotted into the hears of the audience. Besides, his bloodline combination is hard to top. 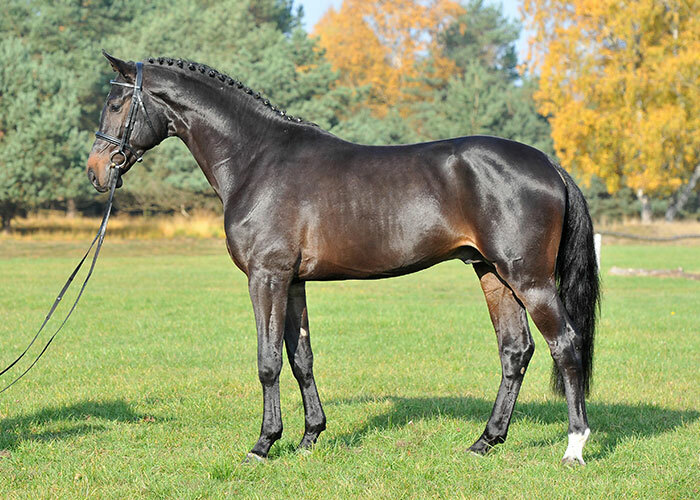 It is the perfect opportunity for Hanoverian breeders to benefit from the popular Oldenburg blood in this unique combination with three Hanoverian trademark stallions. Especially when looking at the daughters by Don Frederico, Weltruhm and Federwisser. This is a refining stallion of first-class quality. At his performance test Sporcken gained the following: For Character 9, Temperament 9, Willingness 8, Rideability 8.88, Jumping 5.08, Trot 9.25, Canter 9.5, Walk 8.75, Cross Country 7.63. He has 4 licensed sons, 36 state premium mares, 40 auction horses. HLP 2011 Adelheidsdorf: 70 Day test Dressage 165, Jumping 66.